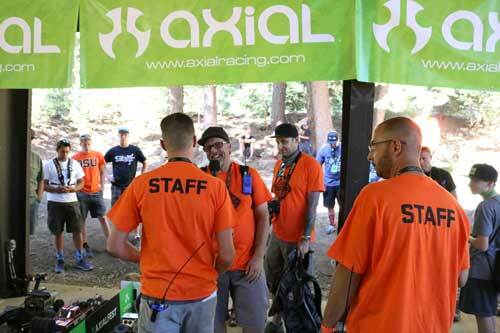 The Axial Blog has been loaded up as of recent with articles filled with tips and information you need to know to attend Axialfest and have the best experience possible. We know many of you are already prepping for the event and planning your trip. For many that trip will require lengthy travel and some will even pack up their gear and head out on planes to get to the event. This brings up one of the most frequently asked question in RC in regards to air travel. How do I get my LiPo batteries from home to the event? We’ve done the research for you and have a number of suggestions depending on your method of travel. First things first is prepping your batteries for travel, no matter how you plan on getting to an event. The following steps would also serve as a good storage method for your packs even while you’re at home. 1. Take the time to cycle your battery into storage mode, just as it arrived when you first bought the pack. Do not transport fully charged or discharged packs. Many mid-level to high-end chargers have a storage program that will cycle your battery to the proper storage voltage. Consider leaving any damaged packs behind and only bring packs you know for certain to be in good standing condition. 2. Cover the plug or battery input connectors. There is always the possibility of a short and covering the inputs can prevent that from happening. Some cover their plugs with rubber caps or plastic inserts. For batteries with bullet plug inserts, place tape over the holes. Placing electrical tape over the plugs works too if you don’t have caps, this will prevent metals form coming in contact with the leads. It’s also a good idea to check the connectors where the wires are soldered on, tape any exposed wire, solder or connector tabs. 3. Tape loose wires against the pack. 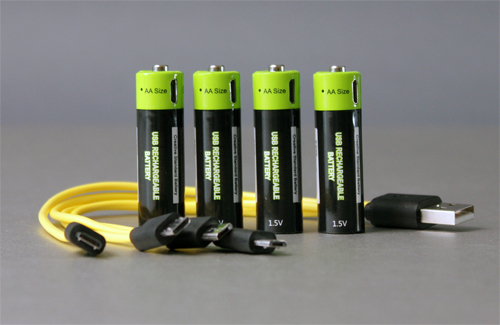 Many battery packs have wire leads or balance plugs on them. These wires should be taped up against the pack just in case the wires move in transport and may become pinched and short out which can result in a fire. With the wires secured against the pack, it lessens the chance of a rare incident. 4. Place the pack in a plastic bag. Ok, during our research we found several suggestions of placing individual batteries in plastic bags for transport. Some other reports eluded to leaving packs out of sealed bags as they may emit gasses or the battery needs to breathe. We would suggest if you do place it in a bag, not to seal it and move on to tip 4. 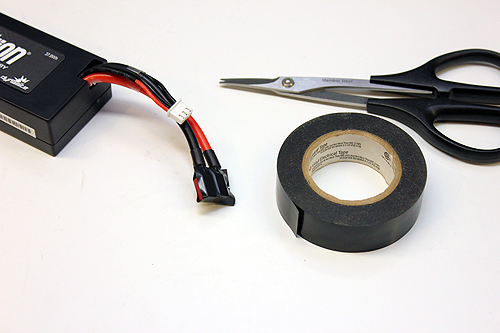 5.Place batteries in a LiPo safe bag. 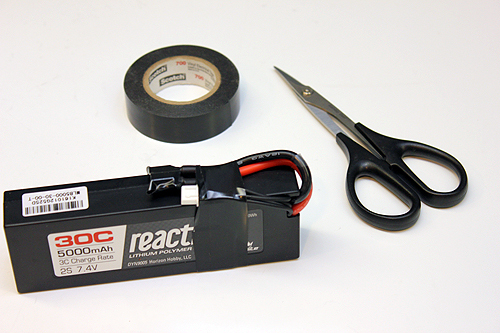 Placing batteries in their own individual pouches would be the best option, but if you must, place multiple packs in a large LiPo sack when toting them around. 6. Battery bag. Once tips 1-4 are completed, place your wrapped up batteries in a transport bag of their own so they are together in case you need to show the packs to a screening agent. This will make their life and your life easier. When traveling to an event by car, keep your batteries within sight and easy reach. Don’t pack your batteries at the bottom of the trunk and stack all of your RC gear on top of them. Although there haven’t been any reports of any incidents where a tucked away battery caused a problem, it’s always just a good practice to have a product such as a LiPo battery accessible. Some drivers will take a plane to reach Axialfest and this is where many of the questions come into play. Can I carry my LiPo’s on the plane, or should they be checked? From our research, this is the best practice. 1. First check with your specific airlines battery guidelines and regulations to see how they require you to transport your batteries. It is a good idea to follow and print these guidelines out and store a copy in the same bag as your battery packs. If it comes into question at screening if you are allowed to transport your packs, you’re now prepared to show the agent you’re following the airlines protocol. 2. LiPo batteries should be carried on to the plane and not placed in checked baggage. It is legal to bring your properly prepared (as discussed above) batteries through the airport and on the plane. 3. During screening, it is best to remove your bag that your batteries are stored in an place it in a bin separate and at the end of the line of from your other articles. 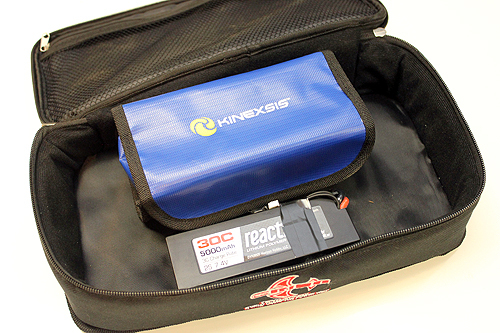 Most likely your LiPo battery bag will be pulled and checked by a screening agent, but at least you’ll be able to gather up your other property while your battery bag is checked. 4. 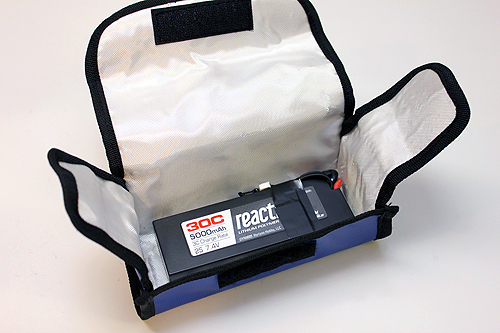 Cooperate with all questions by the screening agent as the battery bag as it’s checked. The screening agent is just doing his/her job and cooperation will get you to that overpriced, half-cooked airport food that much quicker. 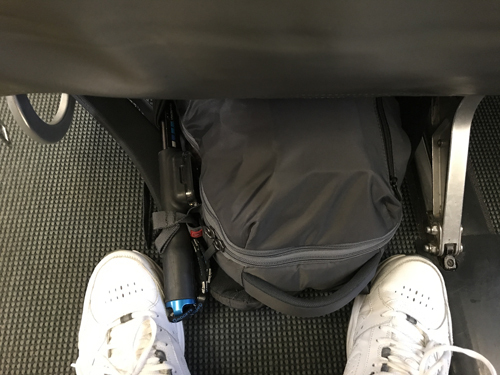 Once on the plane, keep your gear close to you. For those who are prepared well in advance, you may want to consider shipping your batteries via ground transportation to an end location. (Note: Make sure your shipping box is properly labeled with the hazardous battery label.) Perhaps you have a friend in California traveling to the event by car. Ask if you can ship your batteries to him/her while you travel by plane. If you are staying at a hotel nearby Cisco Grove, ship the batteries to the hotel address and make them aware there is a package arriving for your stay. As a last resort some have shipped their gear directly to the Cisco Grove management office to hold for their arrival. We ask that you leave this as an absolute last resort as the Cisco Grove crew is pretty swamped with tasks for the event. 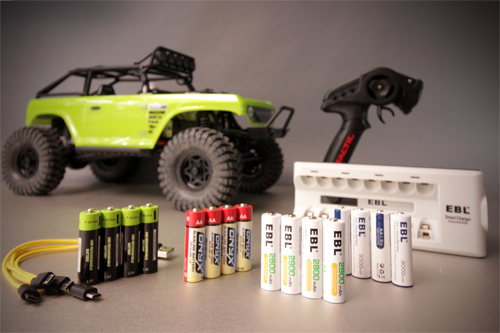 It all comes down to using common sense to be safe with your LiPo batteries. We’ve all seen videos or heard stories of fires or released gases from a LiPo battery. There is a danger element to them so they should be handled with care at all times. Following the tips listed above should help you transport your packs safely from point A to B and even properly store them when not in use. 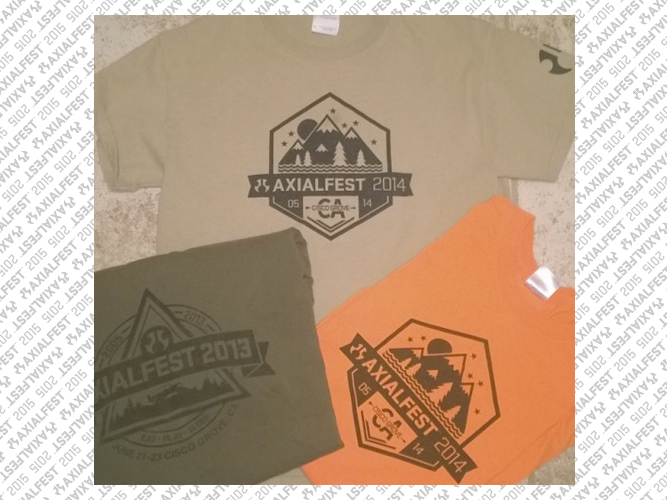 Travel safe and we’ll see you at Axialfest! DISCLAIMER: Axial Racing and the author are not responsible for any incidents in relation to the information given above. The information given is only a tool for assistance. Proper use and transport of any type of battery is the sole responsibility of the property owner. If you are a regular follower of the Axial Blog and we know you are, you probably saw the Trail Rig Prep blog for Axialfest. It’s loaded with great tips to help trail truck drivers and don’t think we forgot about you Rock Racers either. 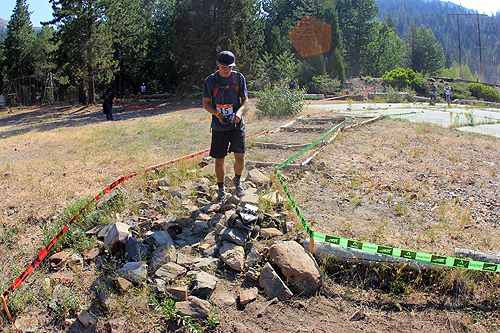 Rock Racing is a whole other experience at Axialfest and prepping a rig for the Rock Racing course or the Altra Ultra 5K can require a bit more preparation than a trail rig. 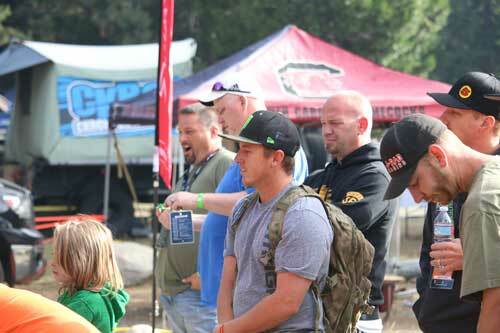 Trail rig courses are not timed anymore at Axialfest and its a run at your own pace experience. But for Rock Racing and the 5K, there is much more on the line. 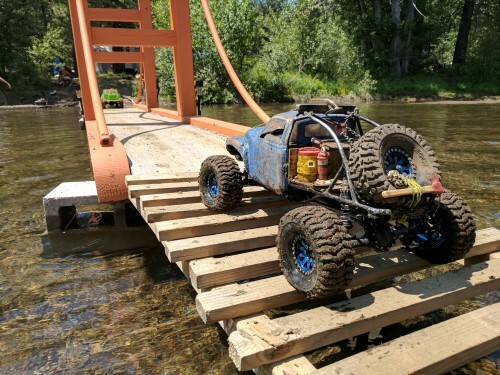 Although they are fun events, there are prizes at the end for the winners and so you want to spend a bit more time making sure your rig is ready for what it is about to endure. We’ve altered our suggestions just a bit here, so if you read the previous trail blog, you should reread everything seen here. 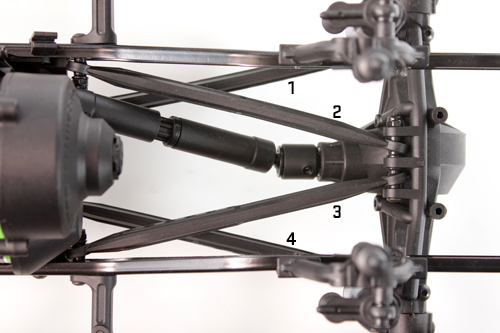 Set-Screws- Set-screws can be a headache in the RC world, they are used in several areas on just about any rig. The most common is the pinion gear. If the set-screw goes into metal, it’s a good idea to add some blue thread locking compound to it before installing it. The thread locking compound is a measure to ensure the screw doesn’t back out during use. Most people use a blue thread locking compound which is serviceable, but in a Rock Racing competition, some have been known to use Red which is a permanent compound. Some heat can be used in the future to help break free hardware secured with red thread lock. Lock-nut- Sometimes standard nuts are used in several locations on a rig and perhaps you’ve installed a nut or two along the way while working on or customizing your truck. Consider swapping out all standard nuts with ny-lock nuts. These nuts have a plastic insert ring that helps prevent the nut from backing off of the screw. You may also want to consider using threadlock compound as an additional way to secure the nut and some have even gone as far as installing two nuts to secure bolts in place. Machine Screws- Machine screws have a much finer thread than a self-tapping screw. This finer thread often offers more “bite” into a part for extra security. Consider using machines screws wherever you can. And like that pesky set-screw, always use blue thread-locking compound on machine screws that go into metal so they don’t vibrate out while in use. Super Servo Arm- Kits and ready to runs include plastic servo arms that will certainly get you underway, but in an Axialfest Rock Racing competition, they have been known to strip out. Axial’s option aluminum servo horns are some of the best available and are often used by builders in builds beyond installs in Axial vehicles. These option horns are available for different servo splines, have a double clamp and two holes for the steering link. The strong aluminum horns will hold up to the abuse on the course. Servo Upgrade- Many drivers upgrade to higher torque servos with strong metal gears to withstand the abuse on the course. If you do upgrade, consider using a servo with an aluminum case. The mounting ears on a plastic case servo can break on hard impacts. At the very least, use a wide head screw to support the servo in the mounting bracket. Steering Links- Steering links are often the first thing to hit rocks and other on course debris on the front of RR10 Bombers, Wraiths and on SCX10’s. Plastic links can flex, lead to weakening or can even break. Many upgrade to aluminum links to handle more abrasive action and still deliver precise steering. Shocks- Before heading out on the rock racing course or 5K, its a great idea to rebuild your shocks with new oil and even better replace the seals. 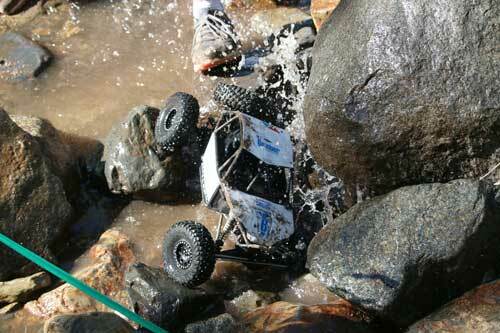 The shocks on a rock racer or even trail truck are among the most abused shocks in RC. Not only do they move up and down, but receive side loading as well that can wear on the shock and even cause it to leak. After rebuilding your shocks, make sure they have some “wiggle room” don’t clamp down on the shock mounts with the retaining screws. Let them slide on the mounting bolts a bit. 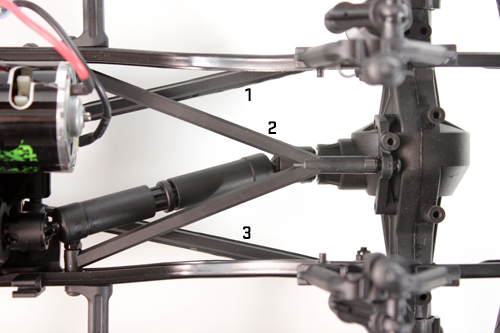 This will give the shock additional movement that will lessen the wear of the shocks internals. Trailing Links- The lower trailing links see a lot of ground action while damping the rig on the trails. When using plastic links, check to make sure the ball ends have not elongated and may break during the run. Use the aluminum plates to make the plastic links more rigid or there are plenty of aluminum options available from various Axial supporting aftermarket manufacturers. Screw Pins- Screw pins are used to secure the universal yokes to the axle drive pinions, if your rig doesn’t have them and you have a through-hole in the bevel pinion shaft, go with a screw-pin instead of a set-screw. This will ensure drive instead of a set-screw that can back out and slip. Use thread-lock here too of course. Universals- We’ve seen some torn-up universals in our day. These components take a lot of abuse. Replacing the cross-pins before your course run can be a good idea. At the very least, check your universals for binding or regrease them if they look dry. Bearings- Do you want to be “The Squeaky Guy?” Bearings take a lot of abuse and as they get covered in dirt or submerged in water, you risk the chance of bearing failure. If you hear squeaking, consider cleaning your bearings, blast them with a cleaner and re-oil them. Some go so far as to repack the bearing with grease. A bad bearing can eventually wreak havoc on your driveline on the trail. Fix it before it causes other possibly more expensive problems or dropping out of the race. Gears- This is an important topic here. 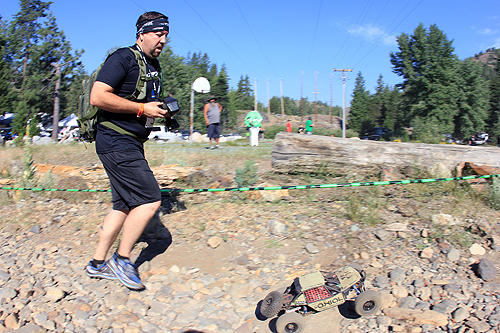 Many of crunchy transmissions have been heard along the trails at Axialfest. During your pretrip check, take a look at all of the gears. Do any look sharp, missing parts of their teeth, is your gearcase full of metal dust? Don’t leave it to a trail run to find our you needed to replace gears. In the axles, make sure the gear lash is correct between the bevel pinion and ring gear. Shims may be used to adjust gear lash. Inside of the center transmission, make sure your gears are well lubricated with grease. And finally, your pinion and spur. Make sure your mesh is correct, not too loose that your gears can skip and not too tight that it binds. Slipper- Your slipper clutch is often the line of defense to protecting your transmission. When your rig gets caught up in a gap in the rocks and you pin the throttle, the slipper will slip rather than the gears skipping. You want the slipper tight enough so you get through gnarly obstacles, but you do need that slip for protection. A little trial and error works here in terms of setting. Always lean toward the loose side to start with. Grease- As mentioned above a number of times. Grease, grease grease. Grease the gears, consider greasing the bearings, add grease to metal shafts inside of the axles, grease universal joints. Grease will keep these parts smooth and offer some protection from the elements. Axle caps- The ends of the axles are secured with screws which if they back out can wreak havoc in many ways. Place a small dab of CA glue under the screw head before installing it to help secure it and prevent it from backing out during your run. Batteries- During a rock race or during the 5K you may need to swap batteries. For better performance or to make it to the end. 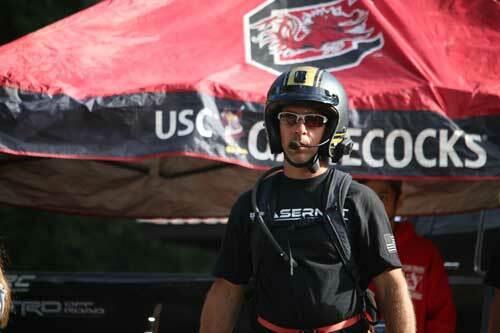 Have several packs on hand for the events and stored in a LiPo sack for safe transport. Tools- You know those little bags of allen wrenches and the box wrench that came with your kit? 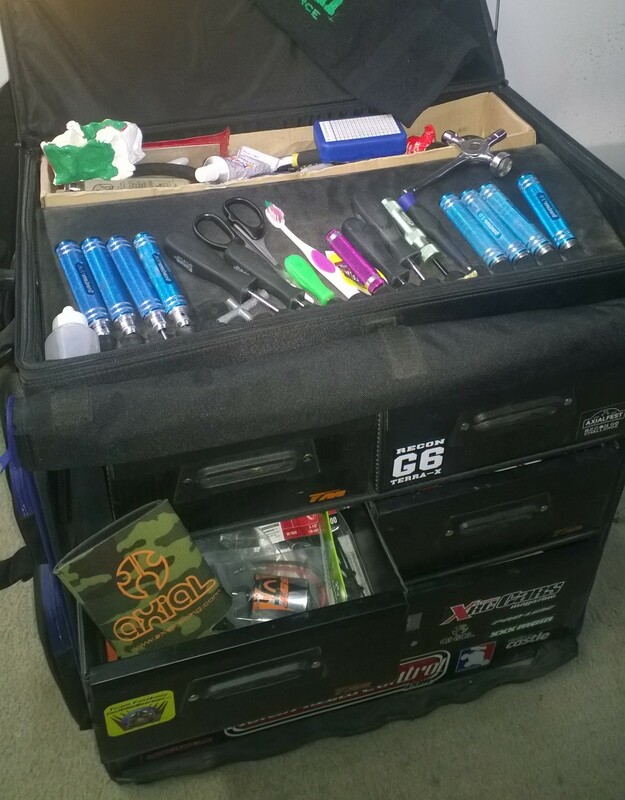 They make great lightweight travel tools and can fix most of the issues you’ll have to deal with on your rig. Now granted hand tools make the job easier, carry the basics, 1.5mm, 2.0mm and 2.5mm hex drivers; 5.5mm and 7.0mm nut drivers, long nose pliers, scissors and cutters can also be useful. Place them in a bag and put them in your backpack during your adventure. 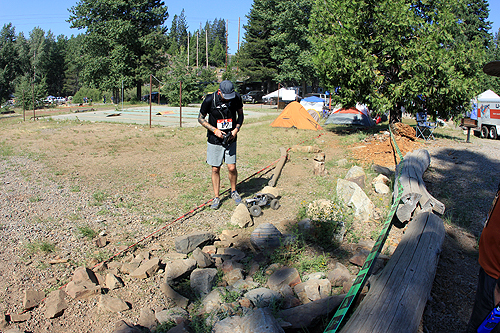 Survival- Always carry water with you for hydration, in fact its pretty much mandatory for the 5K and a must for between rock racing runs.. Cisco Grove is at a higher elevation and having water on hand will keep you hydrated during your hikes. Also have some nutrition with you. Some power bars, trail mix or other foods can take the edge off your hunger while competing on the courses. It’s also good to have a small first aid kit in case you get a scratch or scrape on the trail. Wear a hat, use moisture wicking clothing, wear proper footwear such as Altra shoes that will keep you sure footed on the course. The Axialfest Rock Racing and Altra Ultra events test both man or woman and machine. It’s a good idea to prep both your rig and yourself for these events. Train ahead of time for quick sprints and lengthy runs. Be prepared for all types of weather too. It can be cold in the mornings and hot in the afternoons. These events at Axialfest are to promote fun first and foremost, but racing can always get intense and being prepared can help you make it to the finish with success. Hello AXIALFEST2018 participants! Concours is now in its fifth official year and growing because of YOU! Because last year’s participants stepped up the game, AXIALFEST is responding back with additional classes! 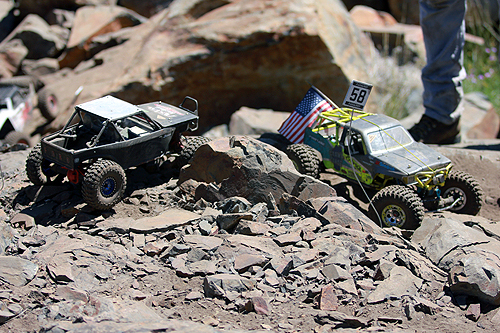 There is only one rig in our fleet that can legally claim California Street Legal status, the Axial SCX10! And it must be 100% drivable! Heck, it has to be able to drive to the DMV! How are you going to get current registration on it if won’t drive in? Just so you know, in 2016, half of the class was eliminated on the first pass due to no license plate. The battle went toe-to-toe with the participants having all the boxes ticked, with the final winner walking away with it all because he had scale miniature insurance documents! It was a scale version of his actual DMV and insurance paperwork with matching VIN numbers!!! Yes, the competition was decided by a single miniature scale item! Raisins raisins raisins… What is our fascination with rock raisined, tree-scraped sheet metal? Sounds like a proper trail rig to us! Bring your Trail-Mix bag of Trail Tested-Raisined out rig! Yes we are talking about sun dried and rock fried… show us what beat down looks like! We know it’s your favorite ol’ trusty that you would drive off into the sunset any ol’ day! What happens when you push the limits and smash your rig into the rocks or get squeezed by those massive pine trees? Check those off too! But it has to be 100% drivable! • Raisined body work – check! • Weathered treatment – check! • Red Solo cups for rear turn signals keeps you from getting pulled over! Plan as though you are going on a safari expedition and you want to be fully equipped and fully self-sufficient! Does Overland Journal or Expedition Portal sound familiar? Must be 100% street drivable because all adventures require tarmac transits. 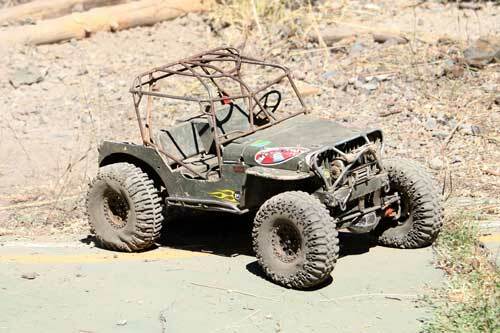 Must be Axial based and recognizable Axial chassis; SCX10, Wraith, Yeti, Bomber, AX10. Tagged, insured, highway legal and highway operable. • Head lights – check! • Tail lights – check! • Turn signals – check! • License plate – check! • Seat Belts – check! • Insurance Documents – check! • Camp Gear (A method to sleep; hammock, tent, RTT, swag-bag and or sleeping bag. 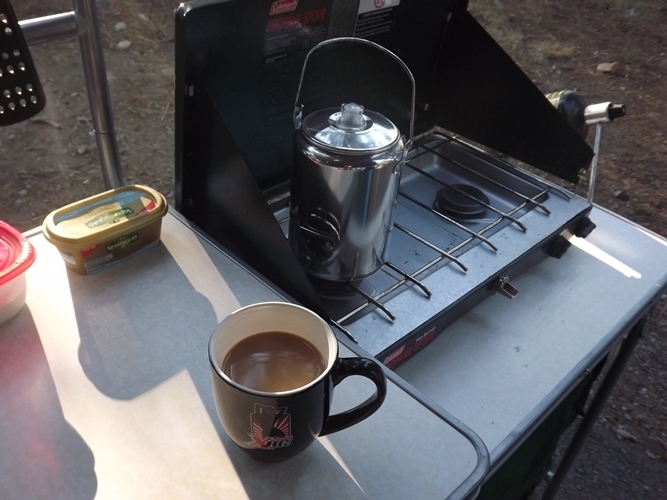 • Camp Kitchen (A method of sustaining yourself and your dependents). • Water Container (A method of providing drinkable water to yourself and your dependents). This year we’ve combined the Trailer classes, so we’re ready to see some crazy trailer action! Make it an adventure trailer, work trailer, hauler or even a full blown travel trailer – we want to see them all! The more scale items, the better chance you have of winning. Concours gets more and more crazy each year, so you’ll need to bring you A game if you want a chance to win! Must be based from Axial SMT10 Chassis. Must use Axle type Gearbox and Lower Chassis plate. Replicate a team or make up your own team! Do something crazy! • Dash, Steering wheel, gauges etc., looking for detail! The 12 and Under class was designed to get the kids involved in some creative building. Let them loose to design and create their own personal trail rigs complete with crazy paint, lights and lots of scale details. These kids are the future of the hobby, so it’s time to let their creativity shine! Parents: Please let the kids do their thing. We know it will be easy to ‘help’ them build a killer rig, but we want this class to reflect their style and their vision. We’re not looking for perfection, we’re looking for hard work and their proud faces! The 13-18YO Builder class is similar to the 12 and Under, but with young adults that have a bit more experience in building and driving (maybe!). Same rules apply – let the kids have their time! Creativity at its best – build your rig based on this year’s theme – Expedition Through the Unknown! Show us what this means to you by building an apocalyptic trailer, a truck for chasing Jurassic creatures or some other build that’s out of this world! This is going to be one of the hardest classes to judge, but one of the best classes to witness! The overall winner will be picked by the top three winners of each of the 9-categories. Yes, that’s 27 judges! The winner of this class will definitely earn this year’s trophy for Best in Show! Before you know it, Axialfest will be upon us and the last thing you want to worry about is preparing just a few days before you embark on your adventure. You want to have your adventure vehicle ready to go and ready to take on the terrain without failure ahead of time. 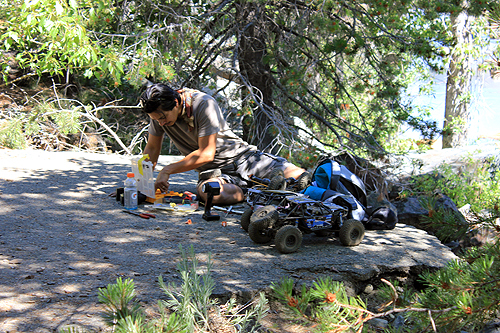 Yes, Axial vehicles are built tough, but taking the time to have your rig ready will ensure more fun on the trail. We’ve gathered up a number of tips to help get your rig ready from what hardware to use, to driveline tips and things you may need along the way. 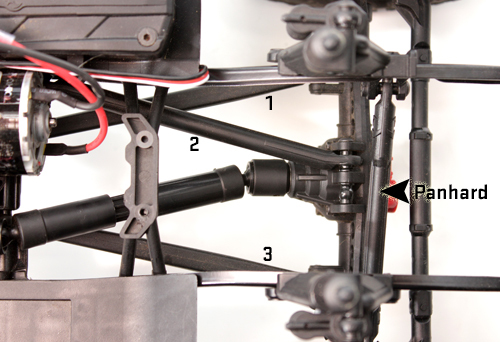 Set-Screws- Set-screws can be a headache in the RC world, they are used in several areas on just about any rig. The most common is the pinion gear. If the set-screw goes into metal, it’s a good idea to add some blue thread locking compound to it before installing it. The thread locking compound is a measure to ensure the screw doesn’t back out during use. Lock-nut- Early SCX10’s used standard nuts in several locations and perhaps you’ve installed a nut or two along the way while working on or customizing your truck. Consider swapping out all standard nuts with ny-lock nuts. These nuts have a plastic insert ring that helps prevent the nut from backing off of the screw. Screw Pins- Screw pins are often used to secure the universal yokes to the axle drive pinions, if your rig doesn’t have them and you have a through-hole in the bevel pinion shaft, go with a screw-pin instead of a set-screw. This will ensure drive instead of a set-screw that can back out and slip. Use thread-lock here too of course. Universals- We’ve seen some torn-up universals in our day. These components take a lot of abuse. Replacing the cross-pins before your many Axialfest adventures can be a good idea. At the very least, check your universals for binding or regrease them if they look dry. Bearings- Do you want to be “The Squeaky Guy?” Bearings take a lot of abuse and as they get covered in dirt or submerged in water, you risk the chance of bearing failure. If you hear squeaking, consider cleaning your bearings, blast them with a cleaner and re-oil them. Some go so far as to repack the bearing with grease. A bad bearing can eventually wreak havoc on your driveline on the trail. Fix it before it causes other possibly more expensive problems. Gears- This is an important topic here. 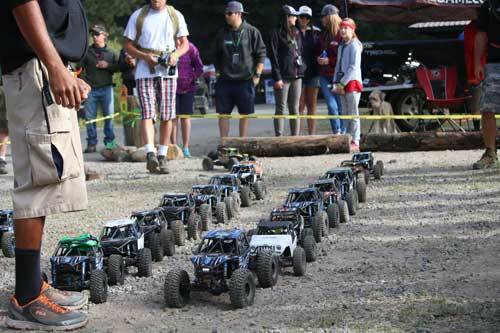 Many of crunchy transmissions have been heard along the trails at Axialfest. During your pretrip check, take a look at all of the gears. Do any look sharp, missing parts of their teeth, is your gearcase full of metal dust? Don’t leave it to a trail run to find our you needed to replace gears. In the axles, make sure the gear lash is correct between the bevel pinion and ring gear. Shims may be used to adjust gear lash. Inside of the center transmission, make sure your gears are well lubricated with grease. 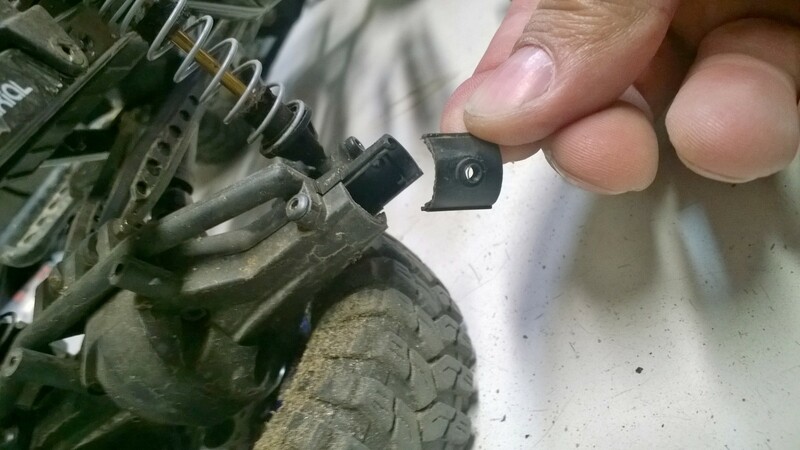 If you do have plastic internal gears, on your SCX10, consider upgrading to the metal gears, here is the link for the upgrade: HERE And finally, your pinion and spur. Make sure your mesh is correct, not too loose that your gears can skip and not too tight that it binds. Specific Electronics- Axialfest is known to have some water encounters and as you know water and electronics don’t mix. Most ready to run electronics are waterproof or water resistant but if you’re running something from an older build date or have swapped out your electronics for something non-WP, you might consider taking some precautions to waterproofing your equipment. Seal the servo case with silicone, put a bead of grease around servo output shafts. ESC’s are a bit more difficult to waterproof using silicone as the heatsink area is an area where water can get in. Brushed motors can get wet, just prep by oiling the bearings or bushings. Radio Box Sealing- The radio box is often the home for items that can be damaged by water or debris. The receiver, lighting module or winch controller are often placed in radio boxes. But water can still get inside unless you seal it up. Use a bead of silicone or grease to seal off any gaps that will allow water to enter the box. 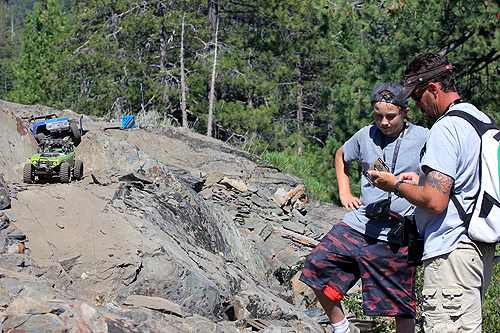 Why You Need Them- Some of the best adventures on the rocks at Cisco Grove happen at night. The night driving element is very challenging and you’ll see drivers out on the rocks until all hours of the morning. You’ll want to consider adding as much lighting to you and your rig as possible. Options- Headlight and taillight kits are obvious and selecting the right one really depends on the type of body you run. The other option are light bars. Light bars are a pretty simple bolt on light system to install and many plug right into the receiver for power. Another option to consider are well lights. Those are lights in the wheel wells so you can see exactly what type of terrain your rig is going over. There are plenty of lights to choose from in the Axial options list. You can find more on lights: HERE Then there are the lights for you. A head-lamp is a great source of light to blaze through the trails. Some fashion flashlights to their radios with tape or rubber bands. Get creative with your lights, but whatever you choose, make sure it’s enough to light the way for long periods of time. 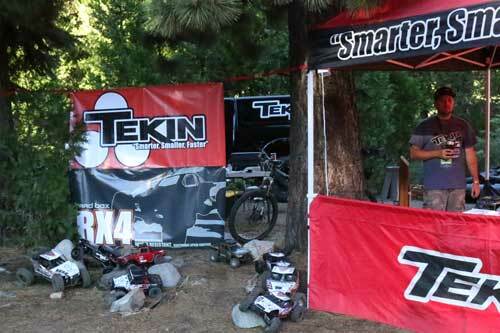 Parts Supplies- Beyond prepping your rig for the trails, you should prep for those what if moments. What if a screw falls out, what if a part breaks. It’s a good idea to carry a small parts bin of hardware with you at all times. Pack the bin with an assortment of screws, nuts, set-screws, body pins, flanged bushings for the steering knuckles, axles pins and washers in case something falls off on a run. Next you’ll want to carry some more substantial parts like a spare shock, some spare links, a spare center universal set-up. An extra servo horn or even and extra servo. Survival- Drivers can spend hours on the trails. Always carry water with you for hydration. Cisco Grove is at a higher elevation and having water on hand will keep you hydrated during your hikes. Also have some nutrition with you. Some power bars, trail mix or other foods can take the edge off your hunger while completing some of the long trail layouts. It’s also good to have a small first aid kit in case you get a scratch or scrape on the trail. Keep your cell phone with you, lights and a suitable back-pack to carry extra batteries is the best way to take on Axialfest. What is the best battery? We spend so long in the hobby trying to answer that question ourselves along with seeking opinions on the subject from others. When talking batteries, most people go right to the battery used in the vehicle. But what about the forgotten batteries, the batteries that are essential to making it all happen. Those batteries are the radio batteries and their often just tossed into the radio and forgotten about until we hear lots of beeping to indicate its time for a battery charge or swap. But why not get more out of these batteries too? Wouldn’t it be better if you got more time on the trails rather than spending time trying to figure out if you need new radio batteries? Or perhaps worse, your batteries go dead on the trail leaving you to haul your rig back home by hand. In this battery discussion, we’re going to look at the popular available options for radio batteries, determining what is the best value and what will give you the best bang for your buck. After All, the longer you’re on the trails, the more time you can spend taking photos and posting them to your social media pages with the hashtag #AxialAdventures. 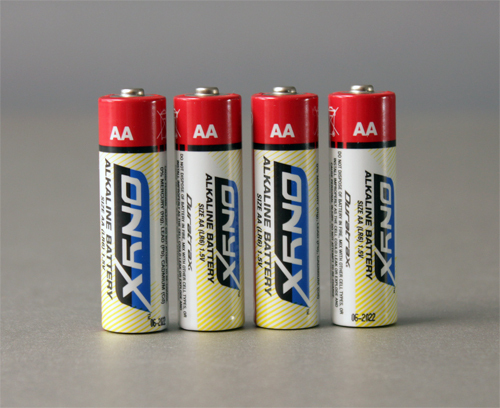 These are the most readily available batteries for your transmitter. Alkalines can be found at just about every store you walk into and hobby stores as well. Like any device you install them in, you pull them from the package, install them, use them and toss them in the battery bin at the nearest recycling center when you are done. 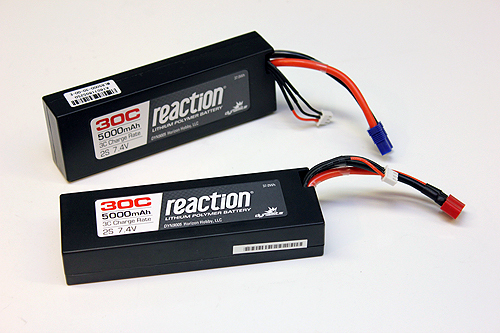 These cells can last several few months depending on how often you use your RC machine. Nickel Metal Hydrid, now this may be a battery chemistry more familiar to many RC folk. This battery type is used to power many ready to run vehicles as it’s main battery, just in a series of sub-C size cells which are larger than the cells above. But they are the same basic concept, an easy to use, easy and safe rechargeable cell that you can use over and over, sometimes up to several years. You can find these batteries in various capacities and the price may increase depending on the performance of the cell. 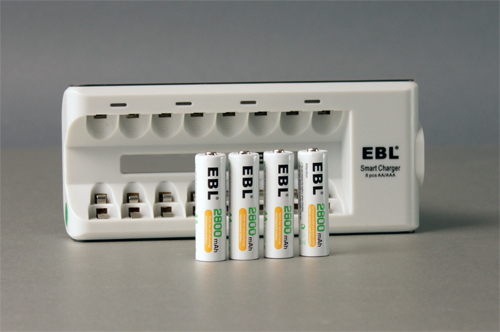 You’ll need a NiMh compatible charger to recharge these batteries and they are available in different capacities. These batteries can offer consistent operation, but eventually their performance can diminish and you may notice their capacity can lessen over time. Lithium Polymer technology has made its way into an AA sized cell. LiPo cells are known for delivering consistent power through their use and they can be recharged. During their cycle life they will maintain consistency capacity output right up until they reach the end of their life cycle. Life cycle times can vary depending on the cell. Although they cost more than the others in this blog, they are the most powerful rechargeable cell. Depending on the brand you get, charging styles can vary. The cells above are charged by mini-usb style plugs with the included USB cord adapter. Lithium Polymer technology has made its way into an AA sized cell. LiPo cells are known for delivering consistent power through their use and of course they can be recharged. During their cycle life they will maintain consistency capacity output right up until they reach the end of their life cycle. Life cycle times can vary depending on the cell. 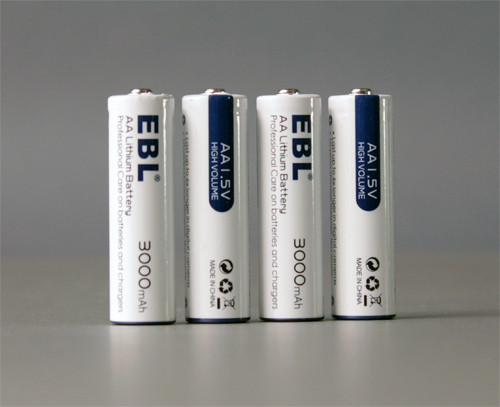 Although they cost more than the others in this blog, they are a powerful rechargeable cell. Depending on the brand you get, charging styles can vary. The cells above are charged by mini-usb style plugs with the included USB cord adapter. Obviously the more economical choice over the long haul is to utilize a rechargeable battery. A great choice is the NiMh cell that offers consistent performance and long usage. The LiPo battery cost is slightly higher and depending on the cell can have a capacity near many NiMh offerings, but where the LiPo shines is if you are looking for a higher power output on the cell; 1.5 volts versus the NiMh 1.2 volts. Now if you’re an install a battery and toss it (recycle it) when it’s done type driver, the Lithium is a great choice, they’re more expensive than the Alkaline battery, but performance and longevity are the winning factors here. And in the end, don’t knock the Alkaline cells. These things can be snatched up at just about any store and they work, they work well. Just don’t leave them in a radio if you store it for a long time. A leaky Alkaline cell is not pretty. AXIALFEST2018 is fast approaching you only have a short time left to register; Pre-Reg will close on Friday May 4th at 9:00am PST!!! You’ll want to get the drivers bag as it comes with some cool stuff like the commemorative T-SHIRT, THE HAT and the WATER BOTTLE! Can you guess what color the water bottle is going to be this year?!?!?! Check out this video we re-edited from Josh at ESP as he dumped the contents of his bag. This year’s bag will be even better! So don’t miss out – Pre-Reg and secure yourself a cool bag! Sleep in and travel home safely. Thank you for attending AXIALFEST2018! Are you planning on attending AXIALFEST2018? Is this your first time? Then this blog may be just what you have been looking for. This is Skeeno’s Guide to AXIALFEST. I will be covering all that you need to know about having a successful AXIALFEST experience. Let’s start with what AXIALFEST is. 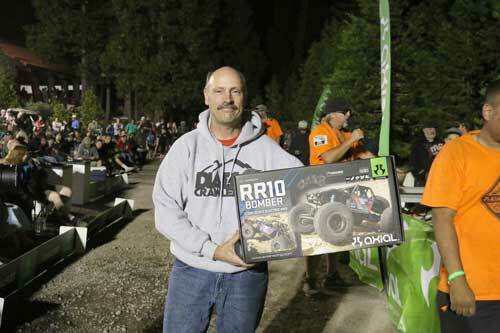 AXIALFEST is a customer appreciation event held by Axial Racing to thank it’s loyal customers for their support. Each year is a bit different. For AXIALFEST2018, there will be several driving events including the world famous ALTRA ULTRA 5K Enduro. There is a grand awards ceremony on the final evening with so much giveaway swag it will make your head spin. Last year I witnessed what seemed like every single participant receiving a prize. Many lucky participants scored brand new kits and RTRs. You definitely want to make sure you attend the awards ceremony. Not all are drivers; many are just there to support friends and family and watch the fun. 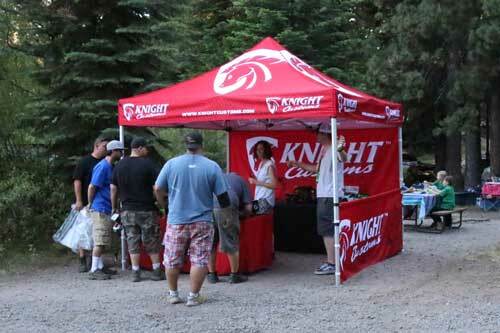 There will be groups of people hanging out, wrenching on their Axial kits, cooking and just generally socializing. 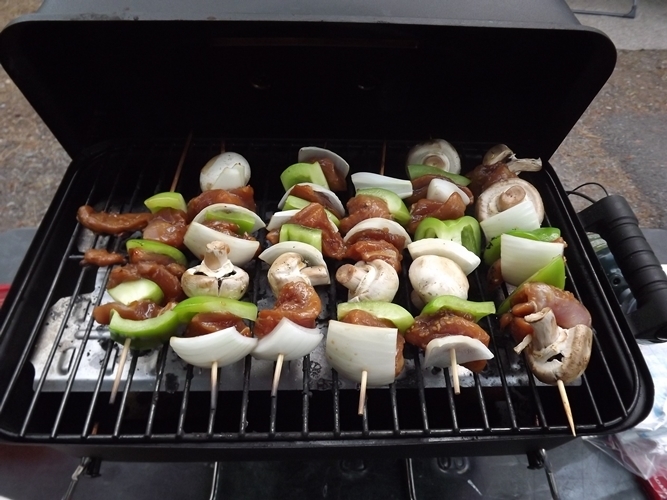 Expect to find a very family friendly atmosphere where everyone is willing and eager to help out. This year there is only one price for everything at AXIALFEST. $60 for each adult and $25 for each child 6-15 years old (kids 5 and under are free!). 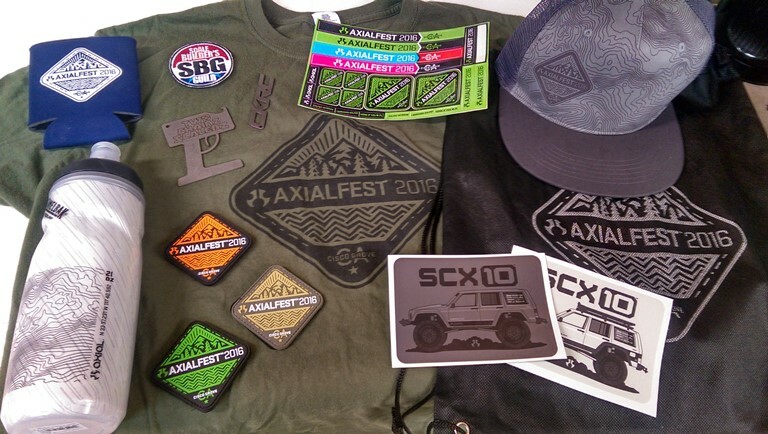 All pre-registered drivers will receive a driver’s bag containing limited edition AXIALFEST2018 swag from Axial and the AXIALFEST sponsors. Word on the street is the swag will be extra special this year, so make sure you pre-register now if you haven’t already. You may also register in person at AXIALFEST, but will not receive the driver’s bag. Extra shirts will be available for purchase at G-Central, but the driver’s bags are limited to only those who pre-register. 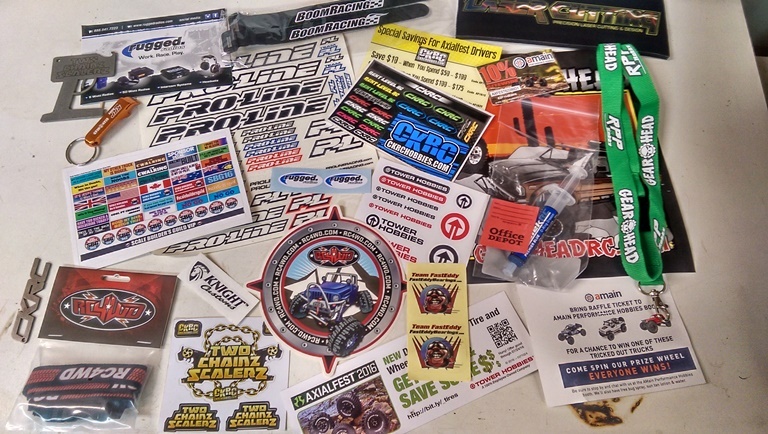 It is highly recommended that you pre-register so you don’t miss out on any of the limited edition swag from Axial and the official sponsors of AXIALFEST. 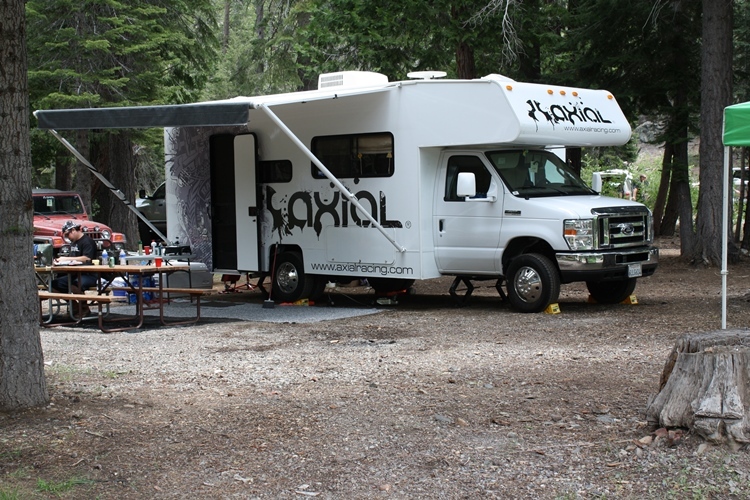 Luckily, AXIALFEST is held within a campground – a huge campground. Don’t be scared if you’ve heard all the camp sites are gone. They are not, but you may have to walk a little farther to get to G-Central as the veterans have probably already reserved their camp spots from last year that are closest to G-Central. Call Cisco Grove to reserve your spot ASAP. 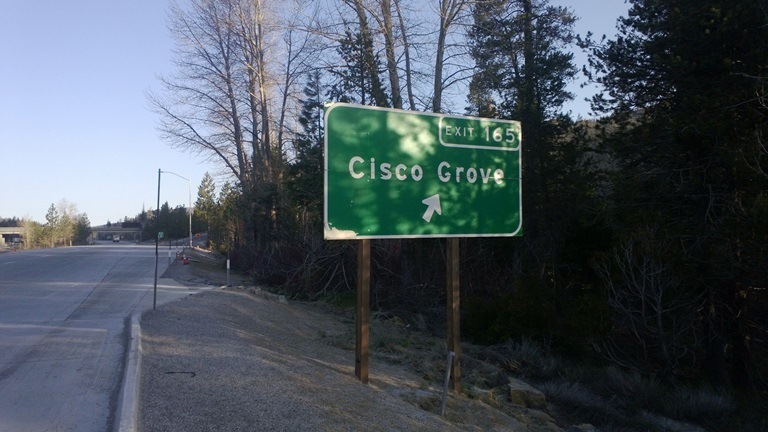 Cisco Grove is about an hour from Reno, NV and about an hour and a half from Sacramento, CA. 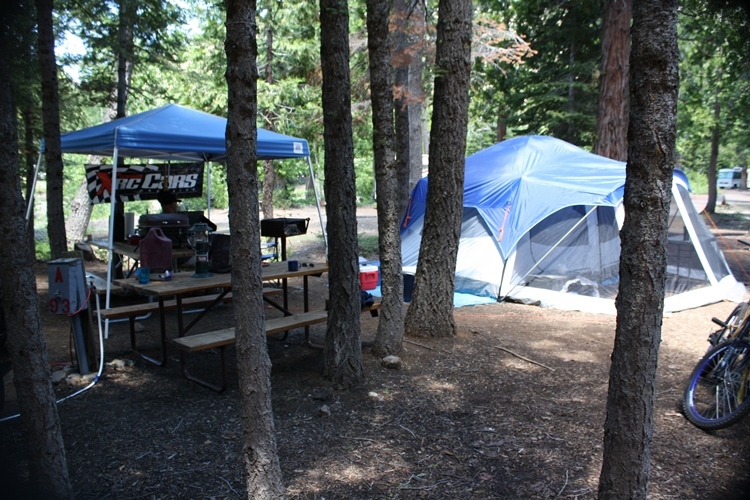 Camp sites are about $30 per night and include water and electrical hookups. 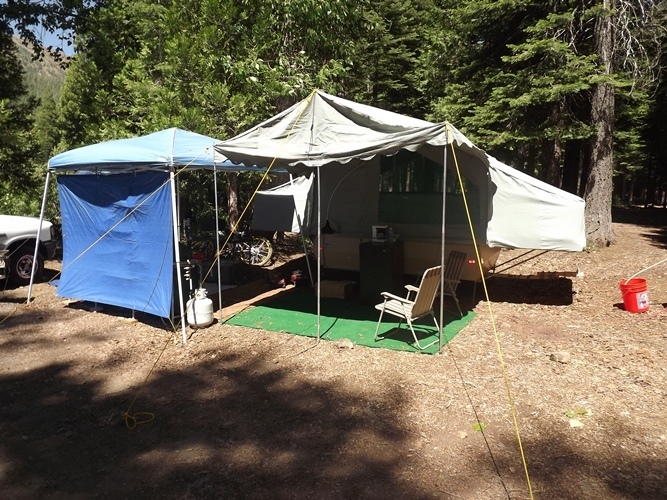 There are bathrooms and showers available at the campground. Multiple people can share the spots to help divide the cost among several people. • Your kits. 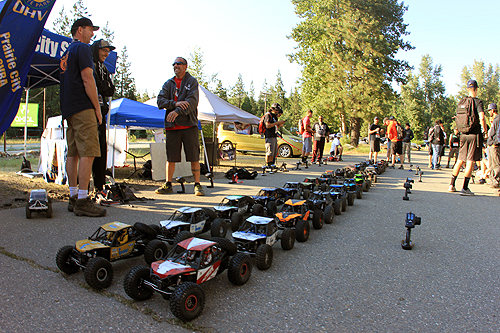 Since this is AXIALFEST, the most important thing to remember is to pack your Axial vehicles. You can leave your other RCs at home as this is an Axial appreciation event. Before you arrive at AXIALFEST, make sure you do a once over on your kits. Clean, rebuild and replace worn components to reduce chances of failure. Don’t let something little stop you from having a great time. I found this broken axle housing while cleaning up Skeeno Jr’s Axialfest rig. Also, be prepared for mud and water. Due to all the rain we had in California this year, chances are high that you will be driving through both – even possibly some snow – so waterproofing your electronics is not mandatory, but highly recommended. • Transmitter, charger and all of your batteries. You will be driving your kits probably more than you ever have, so you want to make sure you have enough mAh to complete each trail. 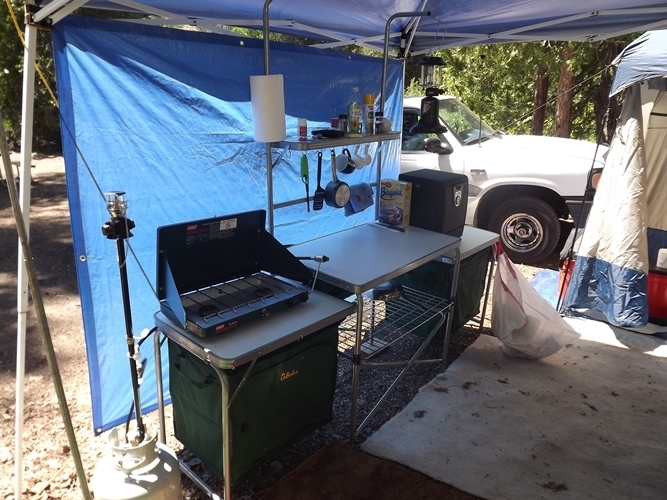 You will be able to charge your batteries at your camp site with the available electricity. Make sure to bring a power strip so you can have multiple chargers going at once. • Tools. Chances that you will need to make repairs or adjustments are high. Bring all your tools including wrenches, pliers, drivers, scissors and even a soldering iron. • Hydration pack/Camelbak. It will be July and most likely very warm. You will be walking long distances for many hours. 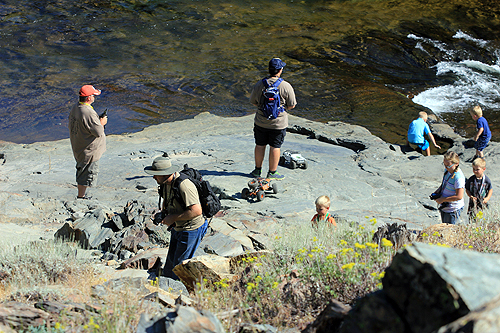 Bring a backpack or pack hydration to carry water, trail snacks and tools and spare parts. There is no shame in stopping on the trail to rest, eat or fix your kit because the goal is to finish. For more info on what to bring out on the trail, check this blog: Make Your Own RC Vehicle Field Tool Pack. • Lots of people bring RVs and campers. Others rough it in tents. Some people sleep in their cars. A good night sleep makes for a happy AXIALFESTer. Bring the stuff that will get you the best sleep. Tent, mattress, sleeping bag, pillow and extra blankets are highly recommended. • Flashlight and Headlamp. The trails are open all the time, even at night. In fact, night runs are some of the best runs, so you’ll need to be able to see in the dark. Don’t skimp. 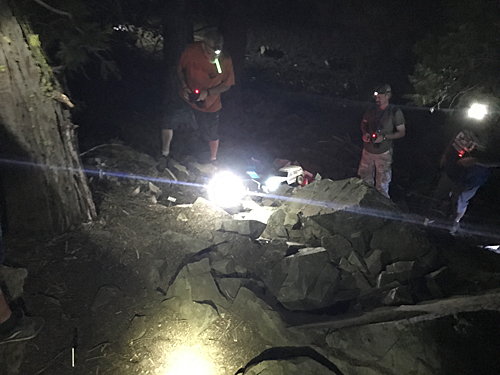 Get a headlamp with a high lumen output. • Shampoo/soap/quarters. Showers are available in the campgrounds, if you can find time, so you don’t get too ripe. No quarters needed, just sounded good. • Sunscreen & hat. Don’t get burned by the sun at high elevation. • Water/beverages. A hydrated AXIALFESTer is a happy AXIALFESTer. • Meals. Hungry equals grumpy. Prepare you breakfasts, lunches and dinners for each day you will be there. There are no restaurants close by and the camp store has a very limited selection of edibles. That’s 3 breakfasts, 3 lunches and 3 dinners, if you are planning on being there from Thursday until Sunday. Plan accordingly. 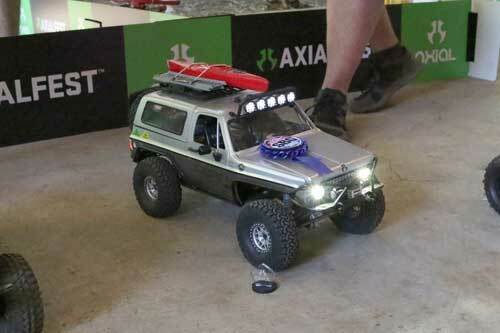 Axial is also working on securing a couple food trucks to come up and join the party. Last year we had Starkey’s Food Truck show up and it was a major hit! • Snacks. Trail mix and power bars are good to have in case you need extra nutrition in between meals. • Paper towels. For your meals, wrenching or just general clean up. • Soap/sponge/towel/buckets. Good for washing your face, brushing your teeth and doing dishes. • Ibuprofen/Aspirin/Advil. Bring the pain reliever of your choice. Your feet and legs will be sore if you are not used to extended hours of being on your feet. This year we’re going to have 10 trails; 1000+ trail markers can equal several miles of hiking around the campground. • Shoes. Bring sturdy shoes for mountain hiking. Hiking boots are recommended. It’s also a good idea to bring some spare shoes for relaxing at camp and flip flops for the showers. I’d also plan on extra socks. • Jackets/sweatshirts/pants/hoodie/beanie. You never can tell what Sierra weather will be like. Temps can vary from in the 90s during the day to in the 30s at night. One year it rained. Last year the nights were quite cold. Be prepared for everything, so don’t just bring shorts and t-shirts. Pack for four days of clothing, plus extra socks and underwear. The first stop is at the camp store at the front of the campground. 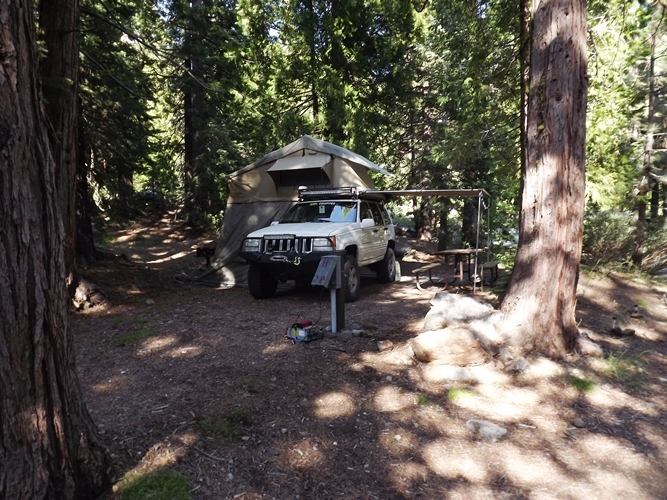 Pick up your campsite and vehicle tags, then go find your campsite. Get set up as soon as you can so you can start the fun. After you have camp set up, go find G-Central. G-Central is the central hub of AXIALFEST where all the activities begin. G-Central is located near the upper pavilion. There will be signs posted to point you in the proper direction. 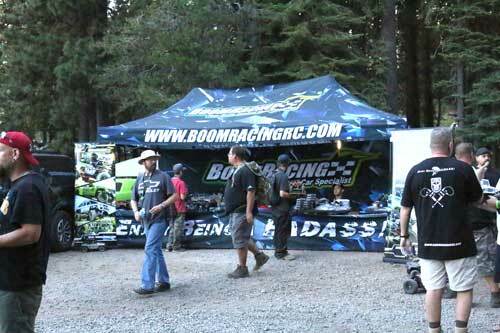 It is easily spotted, because you will see lots of large green Axial banners, the Axial motorhome and the trailer. There are usually other vendor booths also set up around G-Central. If you are not sure, ask someone. Everyone is friendly and helpful. 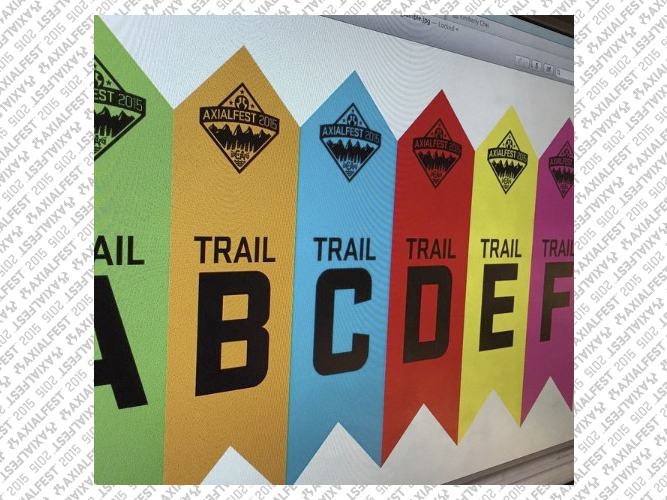 Trail markers will be everywhere! 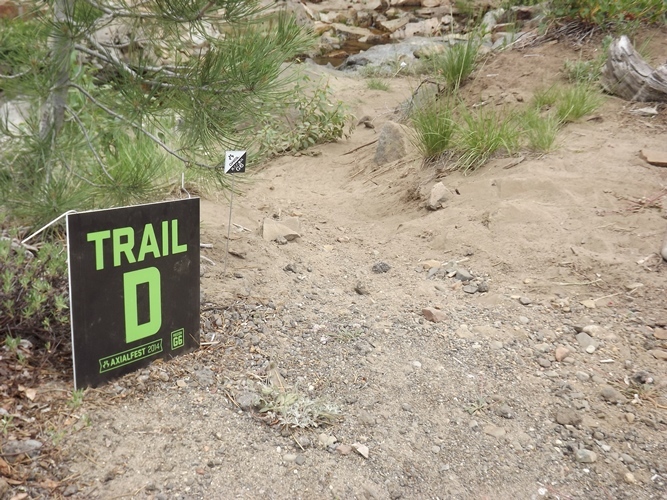 Don’t be surprised to see trail markers on the side of the road, next to your camp or around G-Central – pretty much everywhere. 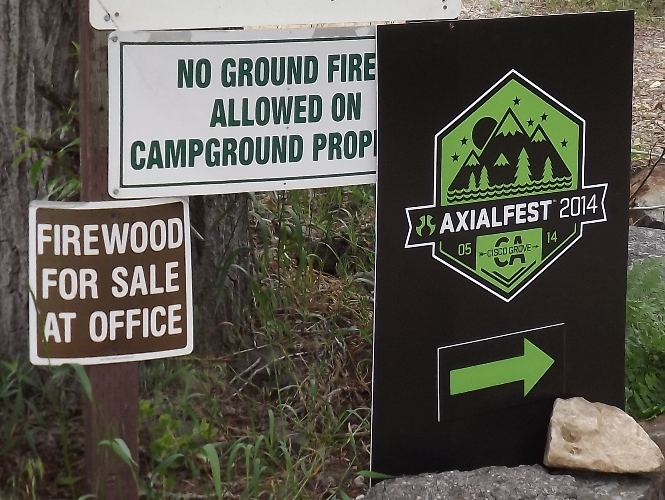 There are 10 trails with over 1,000 trail markers for AXIALFEST2018, so please do not disturb them. They will be needed for the entire event. Do not be tempted to take the one with your favorite number and risk the next driver getting lost. Also, feel free to play with your kits, but please stay off marked obstacles. You’ll know because there will be colorful ribbon on certain sections. What class are you in? Most AXIALFESTers come for the Adventurist class. 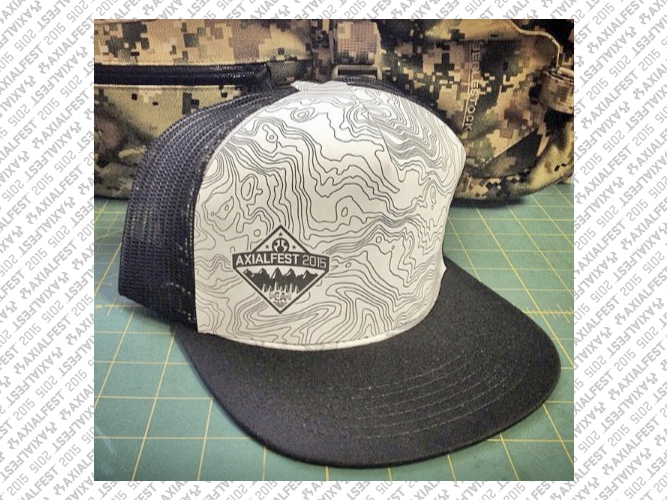 The Adventurist is a scale trail run with 10 different courses and over 1,000 trail markers. 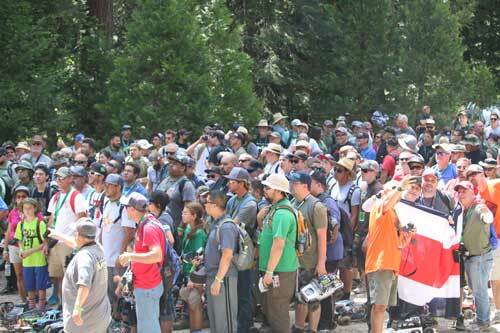 Drivers start at different locations around G-Central, sending them up through different areas of the Cisco Grove Campground, ultimately returning them back to the G-Central area. The general rule of the Adventurist class is No HOG, which means No Hand of God. That means you should not touch your rig. No flipping over or repositioning it if stuck. Use a tow strap or winch to make a scale recovery. Also remember to travel in the proper direction. The red trail marker is always on the right. Red on Right, get it? Out on the Adventurist trail, drivers will encounter a varied selection of terrain from dirt to rocks to mud to water to trees – basically whatever is out there. 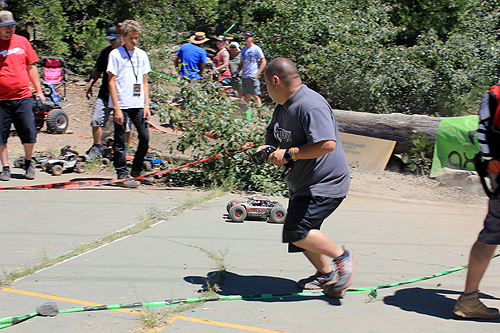 Have fun using your scale accessories like tow straps, winches and sand ramps to conquer the terrain. Drivers have the freedom to drive as fast or slow as they feel. 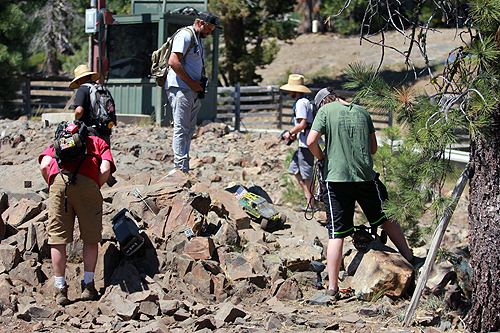 Most drive in small groups assisting each other when the trail gets difficult. Drivers on the Adventurist trails are always happy to help out others by loaning a strap, winch line, parts or tools. Whatever it takes to help their fellow Adventurist continue on the adventure. At AXIALFEST, the Adventurists trail is often many miles long, that’s why being prepared is so important. Drivers and their kits need to be prepared to endure a long day of scale fun. 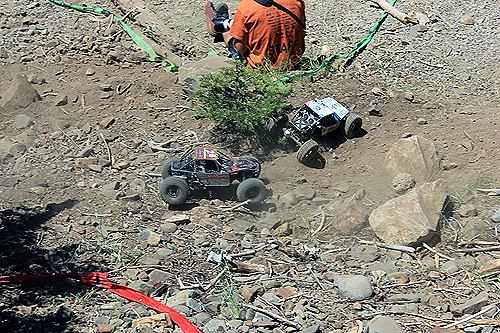 As traditional R/C offroad race tracks have become super-groomed sugar-coated brown tarmac, Axial is once again putting the rough, the rocks and real dirt back into off-road racing! For more information, including the rules, see our post here: Rugged Radio Rock Racing. Axial launched this program in 2016 in conjunction with ALTRA Running shoes. If vehicle speed and running through the woods appeals to you, this might be the class you seek. 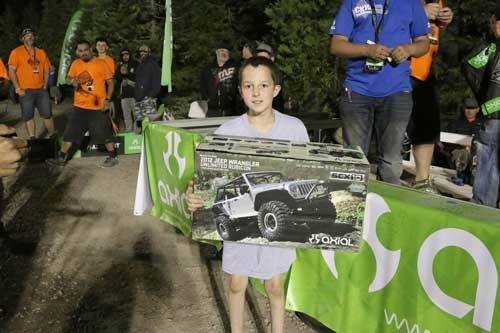 Axial will design a designated enduro course just for this class! This will be fast paced physical event. Physical endurance, quick reflexes and knowledge of your rig as well as your physical ability are key. For more information, including the rules, see our post here: AXIALFEST2018: Altra Ultra 5K Enduro Rules. Hello AXIALFEST2018 participants! Concours is now in its fifth official year and growing because of YOU! 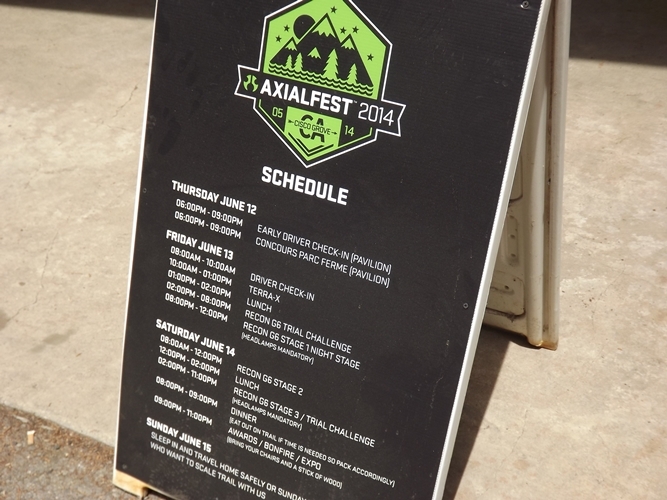 Because last year’s participants stepped up the game, AXIALFEST is responding back with additional classes! For more information, including the rules, see our post here: AXIALFEST2018 – Concours Show & Shine.